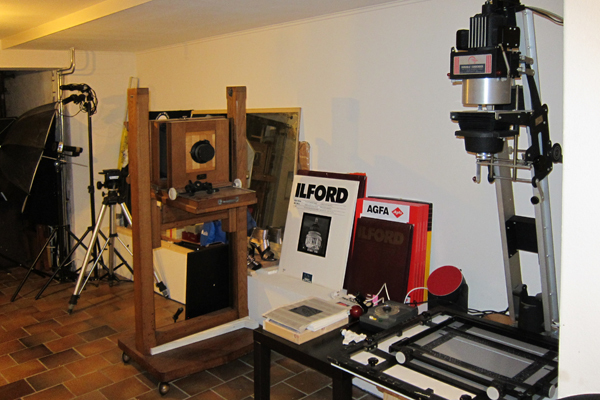 So the last 2 days existed of recreating and reorganizing the darkroom to make some work space for this humongous thing. 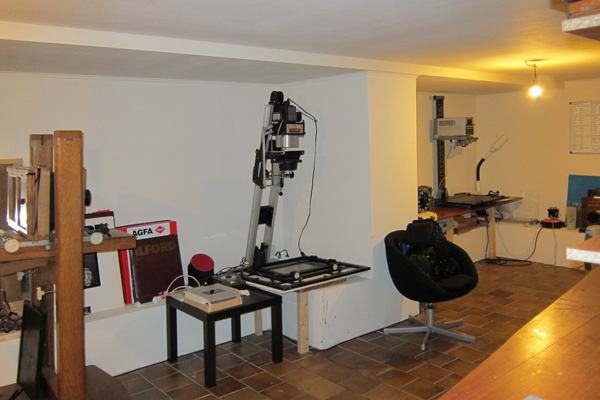 Long overdue anyway, reorganizing the darkroom, so the timing was rather perfect really. 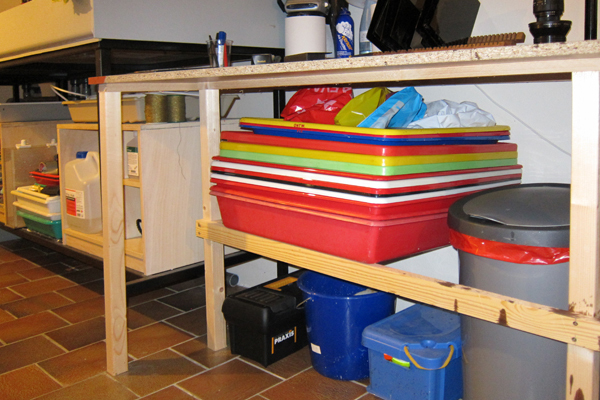 Now all is set to go, the work space has to be adjusted some more but that’ll flow once I do. And, I feel the urge to go and do something again and use my new camera as well! I collected some large trays (50 x 60 cm), also some from this recent event. All I have to dig up from somewhere is a carrier for 4×5″ glass negatives but I’m sure that won’t take long! It’s pretty complete though. 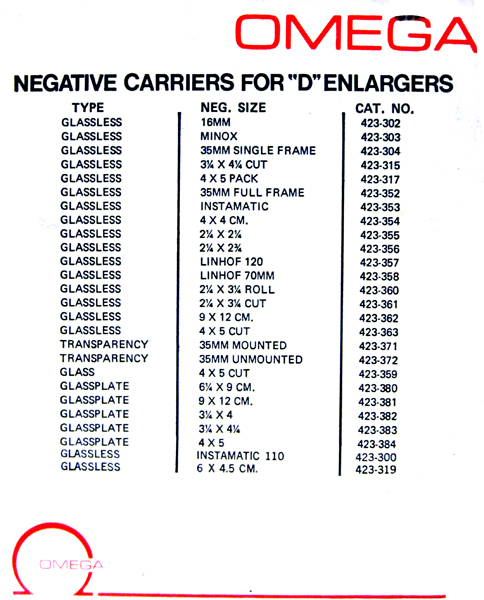 2 carriers for 6×6, 1 for 35mm, 1 for 9×12 and 1 for 4×5″ negatives. Condensers, lamps and lenses included, one 80mm and one 150mm, forgot the exact type. Anyway, happy happy happy and a thank you!! This entry was posted on January 20, 2011 by Contrastique. It was filed under Atelier Contrastique and was tagged with darkroom, Omega D2. Fraai je darkroom set. En de vergroter! super. Ik heb een Durst 13×18 en het is toch heel leuk om een glasplaatje te vergroten op paper! Dank! Ik ben erg blij mee ja! Het lijkt me inderdaad heel leuk glasplaten te vergroten. De positieven zijn ook wel heel mooi maar dan stopt het na het maken van de foto. Met een negatief kun je nog eindeloos doorgaan. Yeah, isn’t it awesome! You need a little luck in life I guess 😉 Hope to start using it soon!